June Field has a rare ability to connect with Spirit and works in a totally unique and engaging way which never fails to amaze and comfort anyone who visits or watches her at work. June and Spirit work together to build the bridge that allows your loved ones to cross over and visit with you for a short time.To enable them to give proof beyond any shadow of a doubt the evidence that life inevitably does go on. To comfort those who grieve and to encourage those who have lost hope. 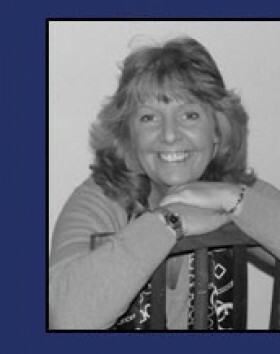 Part of June’s spiritual partnership ethos is that she is committed to raising money for charity in her spiritual work. 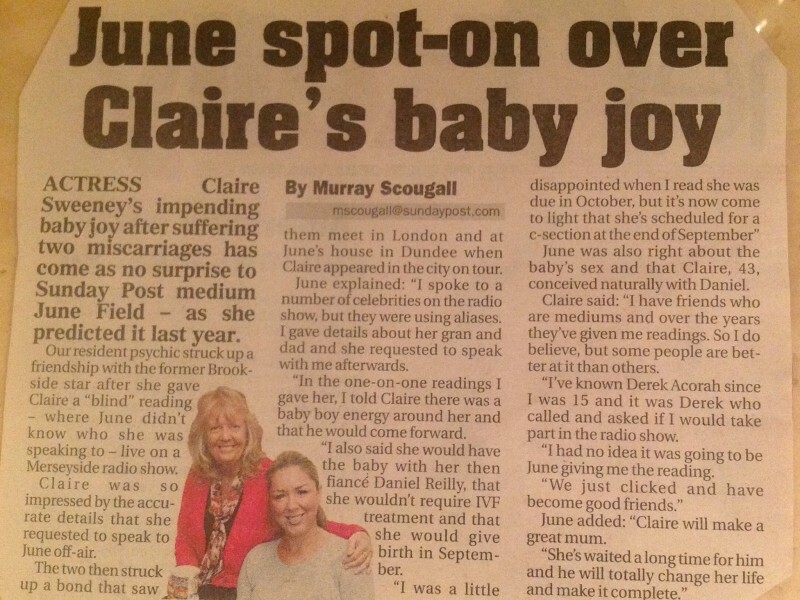 June is a lady of many talents having been a piano teacher and karate instructor to name but a few. It is through these extraordinary abilities to focus that she is able to tune into the spiritual dimension and gel with the spirit world in such a way that provides startingly accurate evidence from the spirit realms. Dundee born June’s spiritual abilities were apparent from an early age. As an adult they have flourished and she is committed with a passion towards helping others, particularly those who grieve the loss of loved ones. 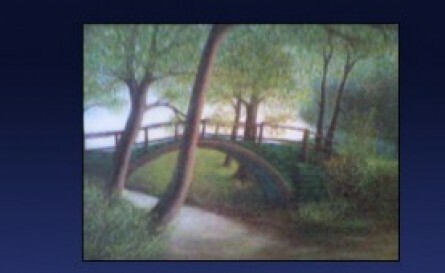 My father was a good artist and painted many pictures during my childhood and I was always attracted to this one of the “Bridge”… I was always drawn to it and asked my dad, “when you die, can I have this picture?” … He said yes and as I didn’t think the time would come that my dad would leave me, I felt it was a long long time away. My dad passed to spirit side of life and inevitably the painting came to me.. The picture represents the bridge from this life to the next… I use it everyday in my connection with spirit, allowing those who have passed over to meet me halfway, on the bridge for a short time to prove their existence and soften the grief by giving the evidence that those who have crossed that bridge live on in another dimension….a dimension that we will all see when we arrive at what we call death…to be re-united with those who we thought we had lost.. They wait for us.. They are not far away… “Just across the Bridge”…..
Susan Boyle receives contact from her mum at Psychic Medium June Field's Bathgate Show. click the link above to read the story .. 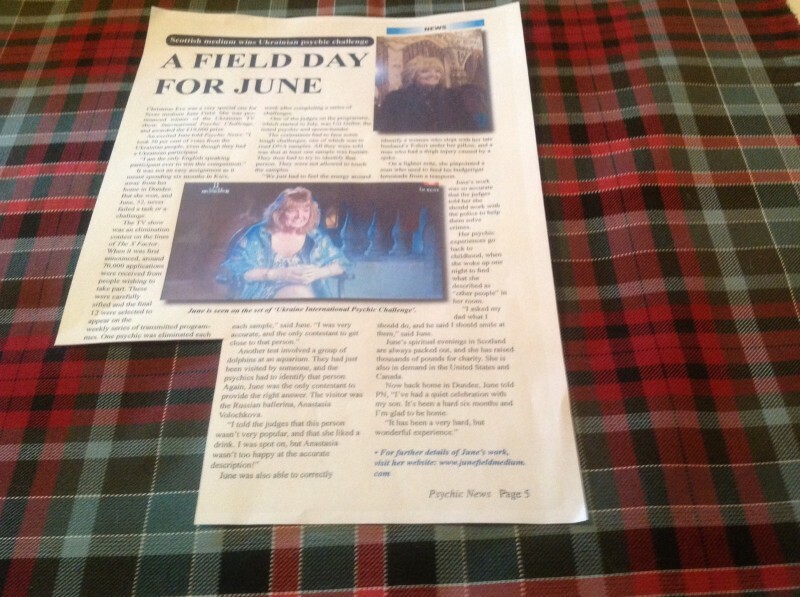 In their recent article, the STV.TV website is referring to me – June Field – as Psychic Detective! According to them, I have helped find a convicted murderer. I didn’t set out to seek fame or send murderers behind bars. I feel that I have a gift. And I am here to share it and help anyone who I am able to. I was born with this ability. It’s not something I decided that I wanted to grow up and do. I’ve always felt things, heard things. I feel that I am on a journey. 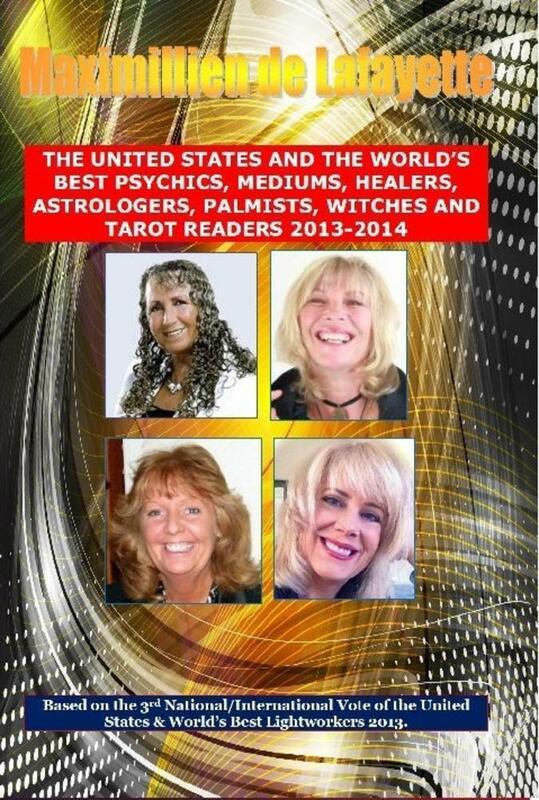 And one of the interesting time in my life was in December 2012, when I was crowned queen of the psychics on a Ukrainian TV show watched by 34 million people. Like the rest of the 70,000 contestants from around the world, I faced a series of challenges designed to test my abilities. Ranging from communicating with dolphins and finding hidden microphones to reading DNA, none of the tasks were what you might call ‘simple’. 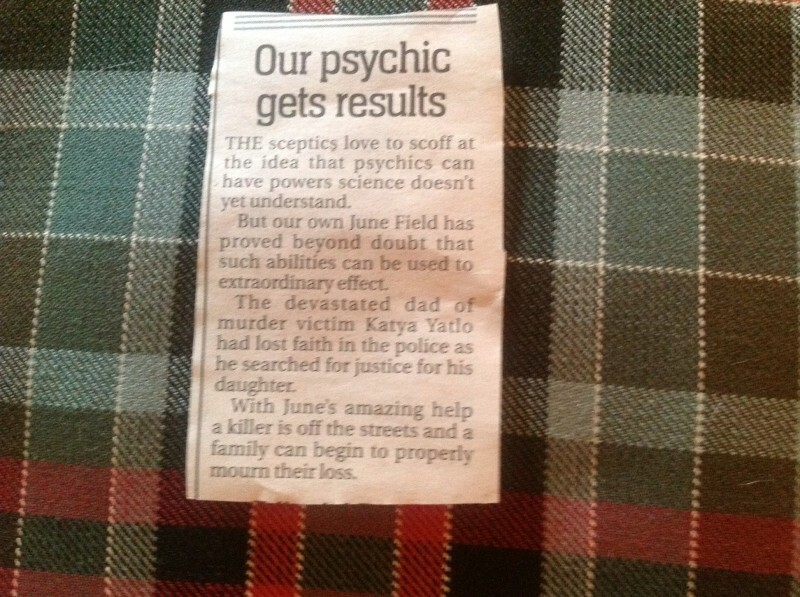 Once a week for three hours, over the space of 12 weeks, I appeared on Ukrainian TV show ‘International Battle Of The Psychics’ and it was here that I inadvertently aided the local police in an ongoing murder investigation. Claire & I at my home in Dundee. 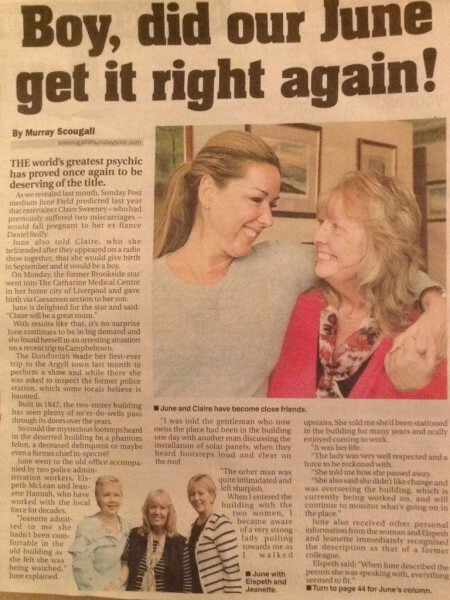 Campbeltown Courier feature to promote my first visit to Campbeltown, Scotland. William & Kate Prediction. The Daily Mail. I predicted in 2012 that Kate would get pregnant and have a boy in 2013. 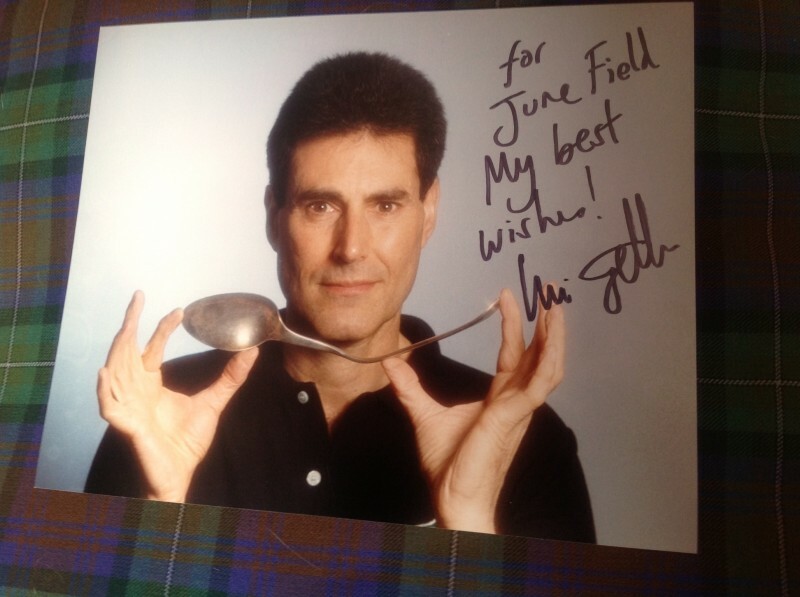 Uri Geller was one of the judges of International Battle of the Psychics and he quoted me as being the most specific Psychic he had seen!